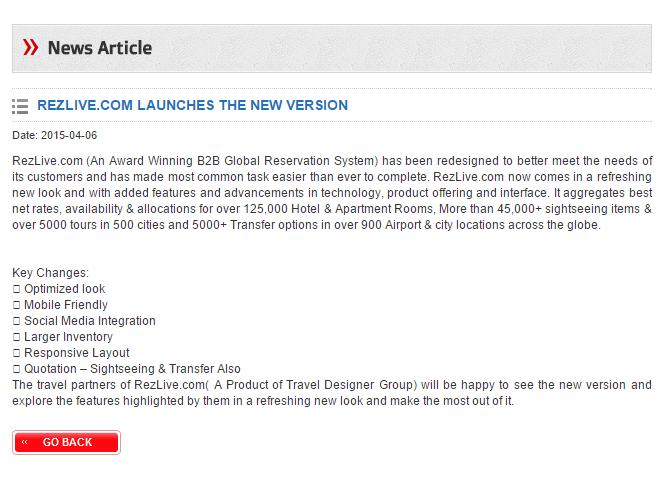 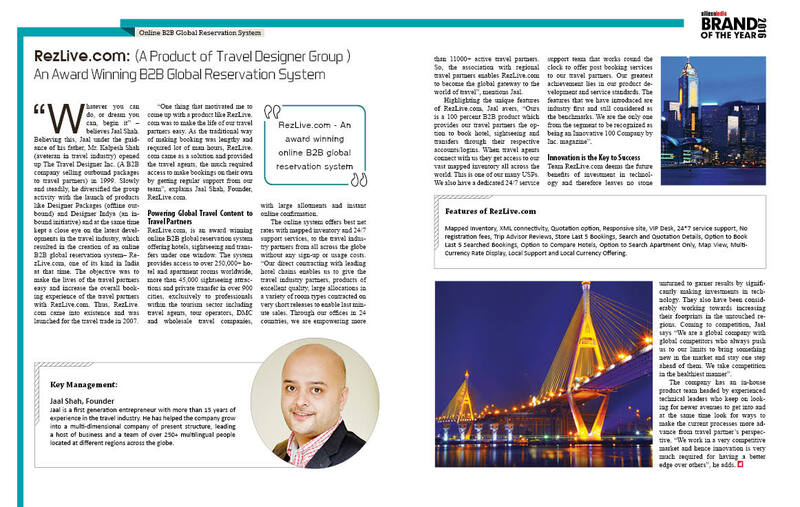 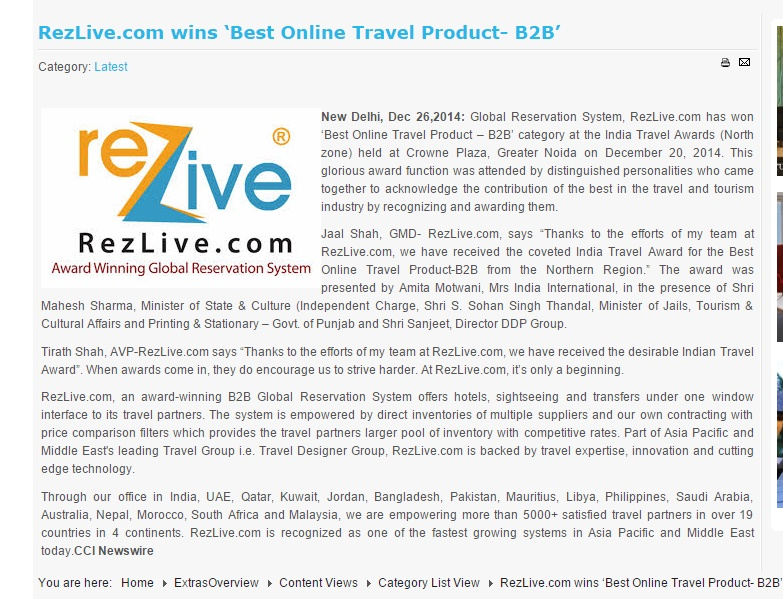 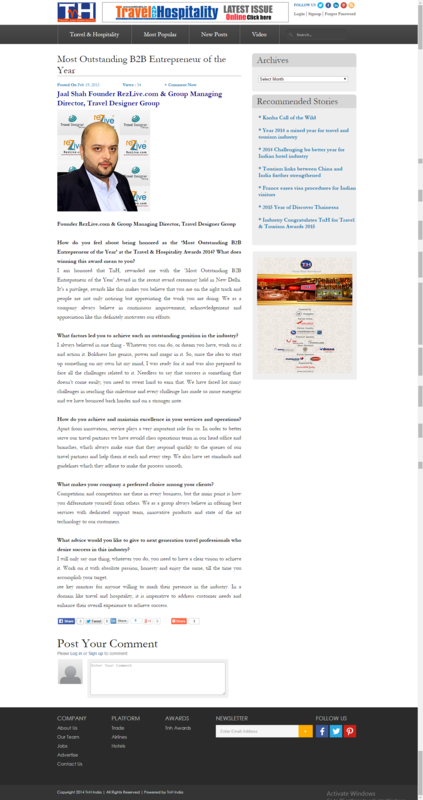 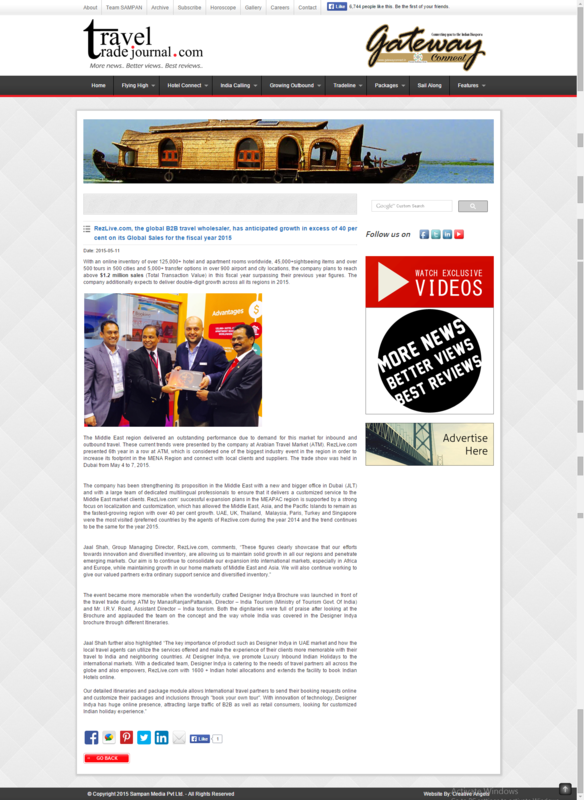 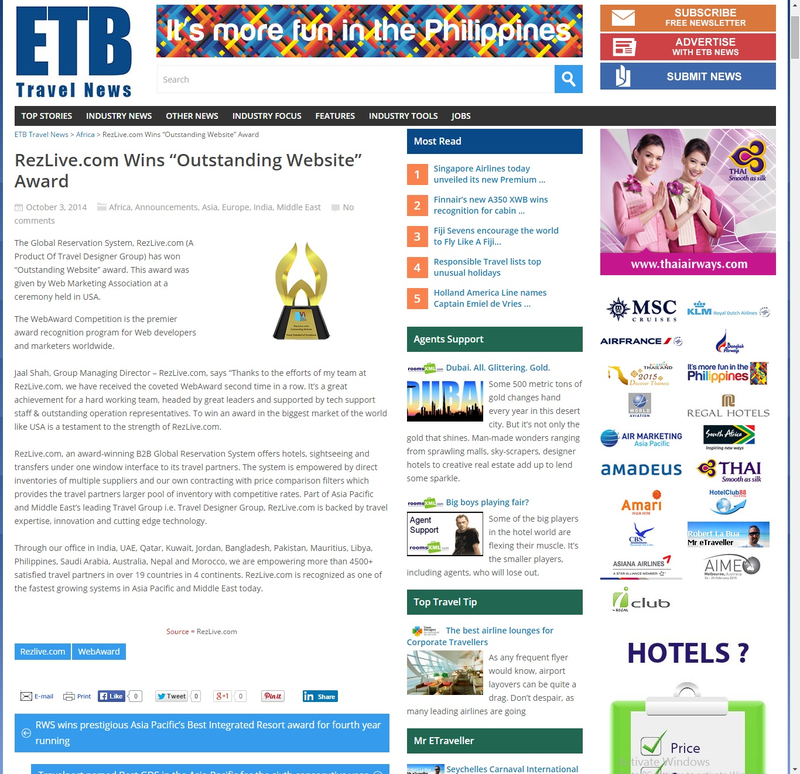 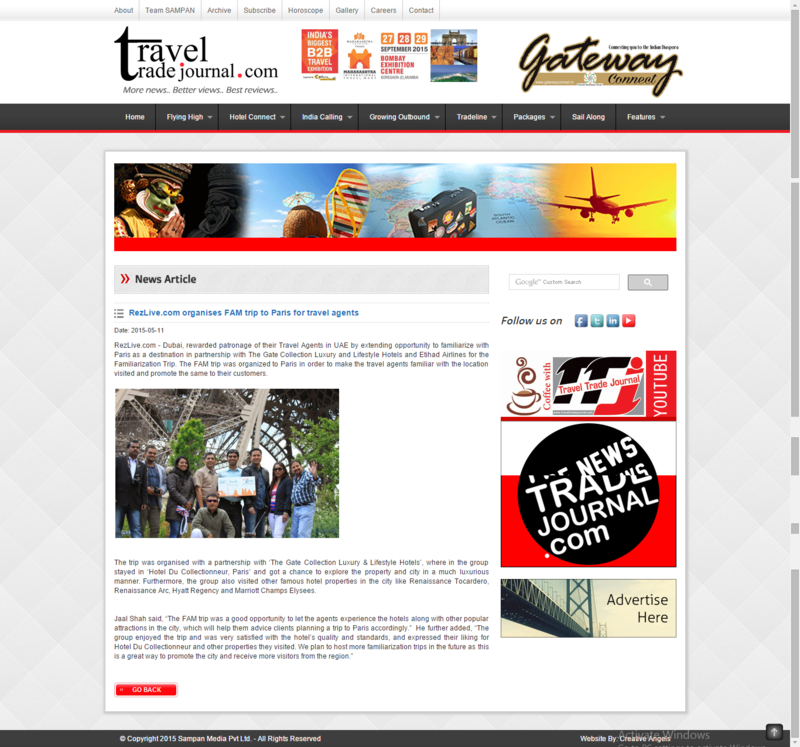 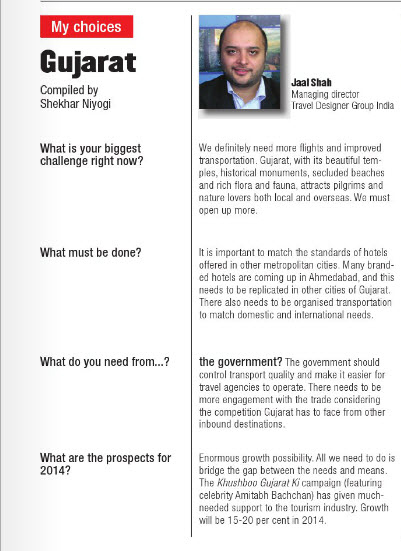 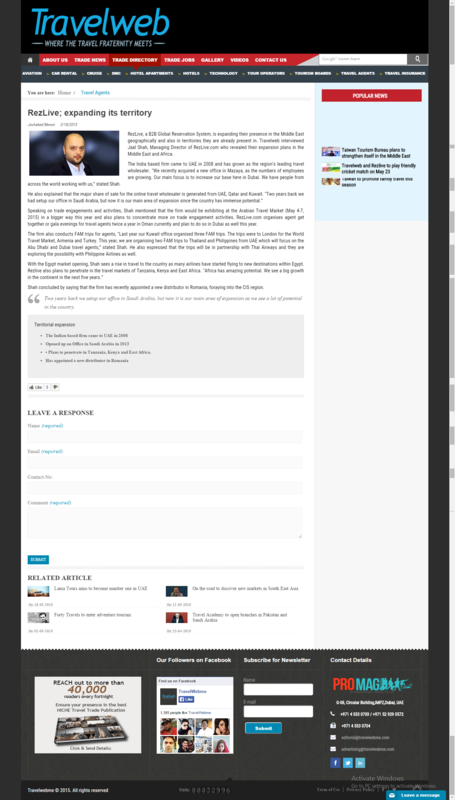 Rezlive.com is awarded the superbrand status by the UAE superbrand council in the B2B travel industry.. 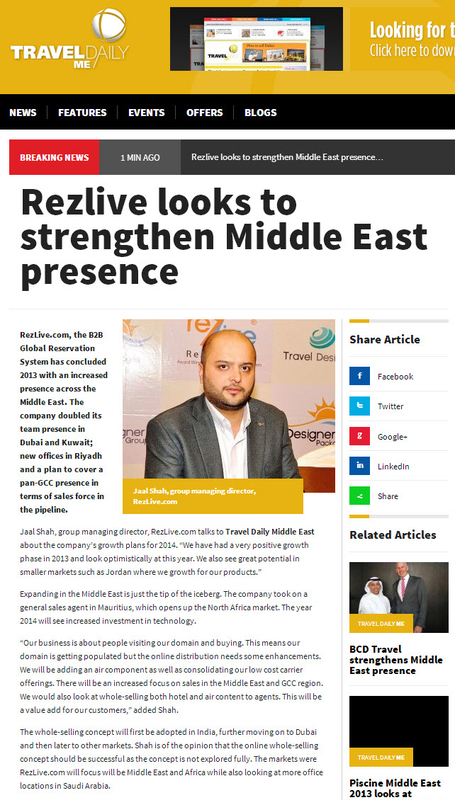 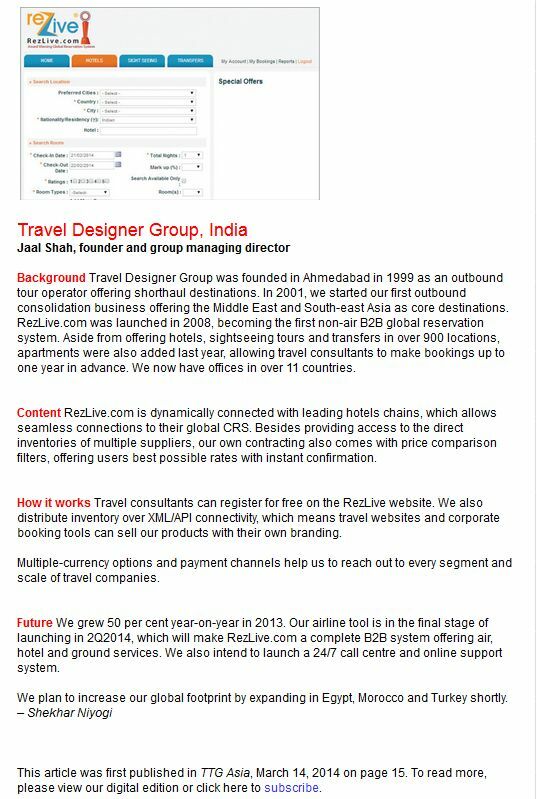 Following a closed-door meeting of the UAE superbrand council, Rezlive.com has been voted as a superbrand in UAE for 2018 in the B2B travel industry.. 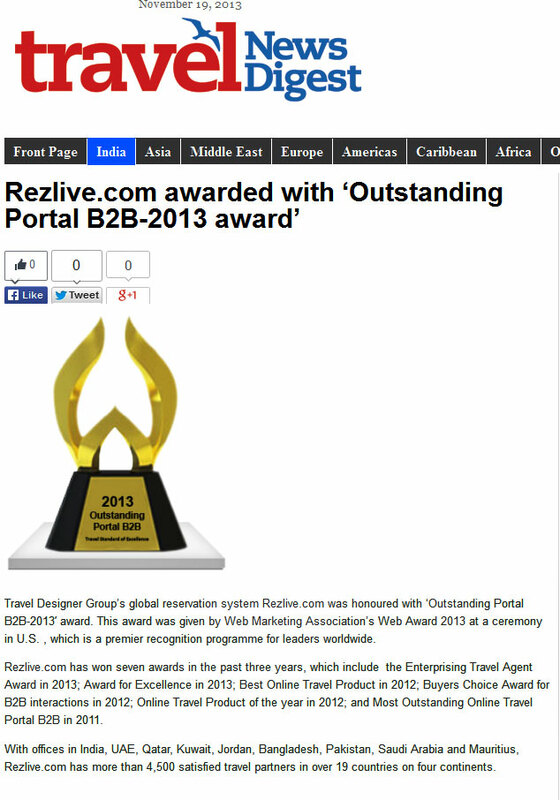 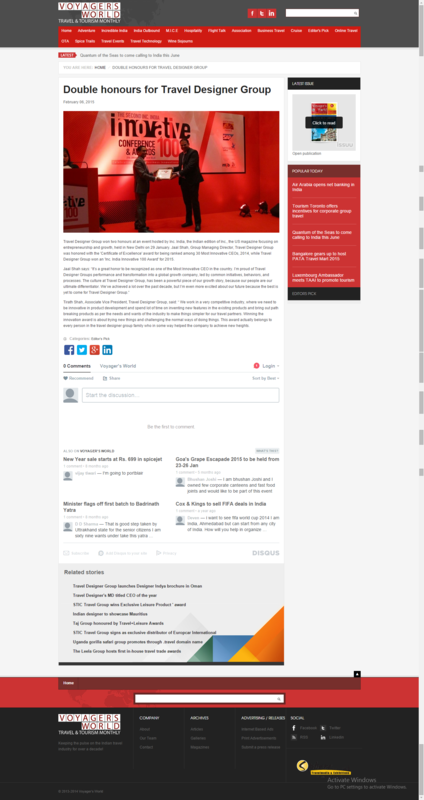 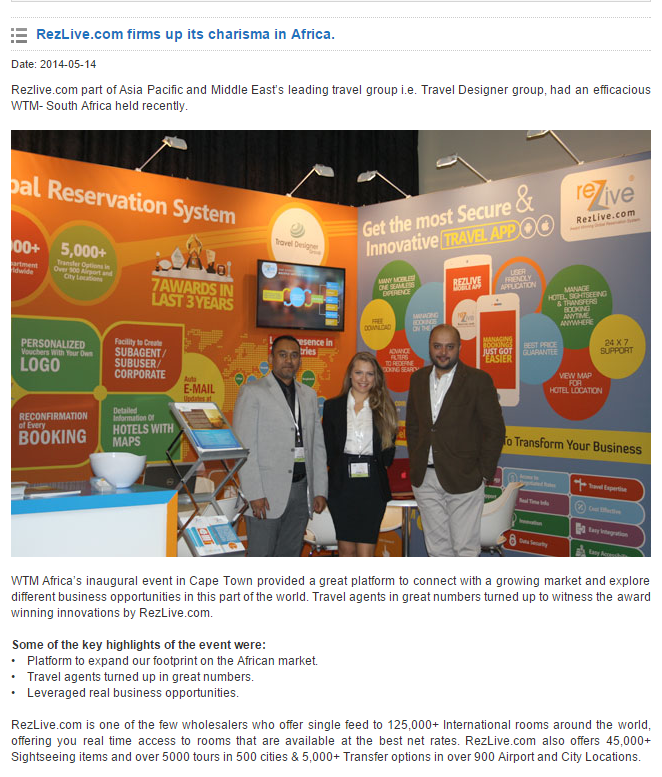 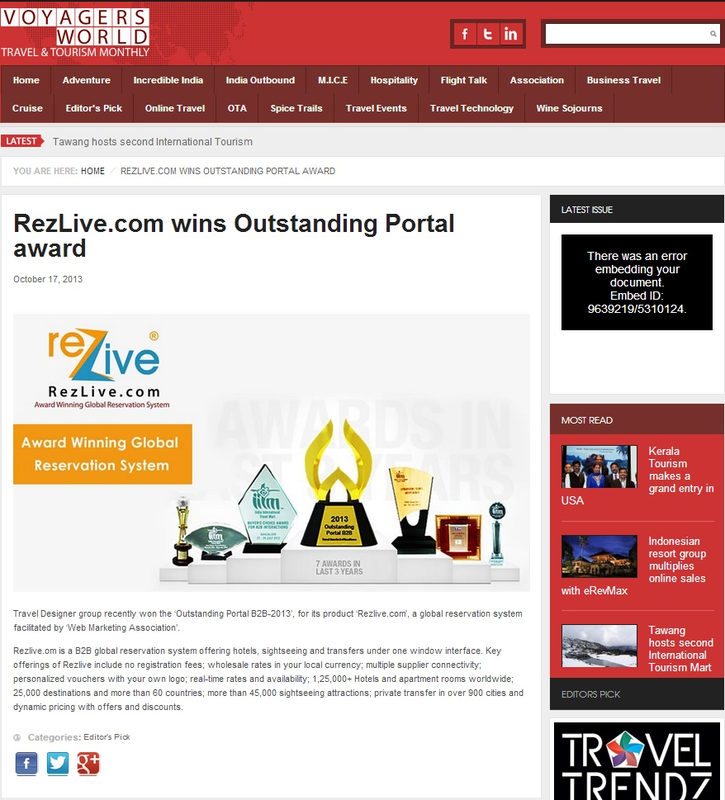 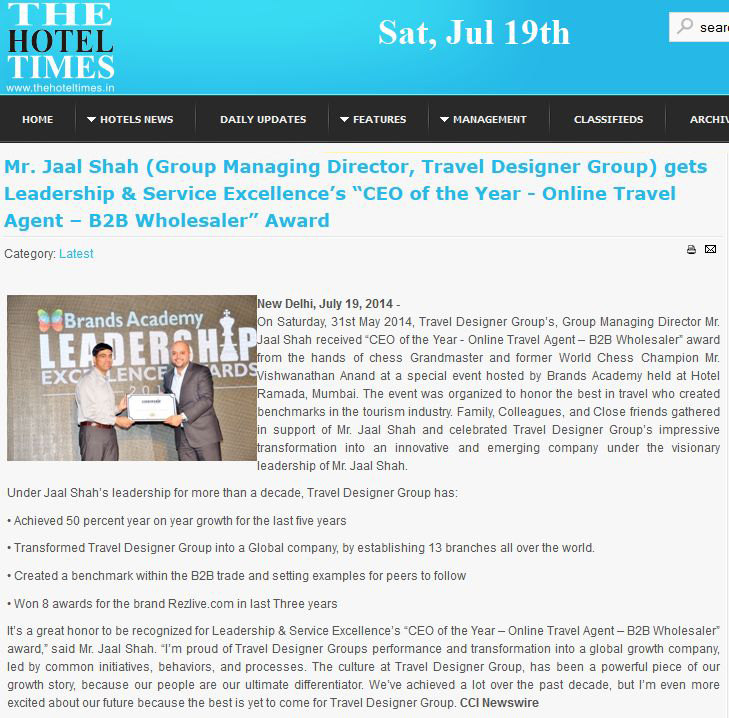 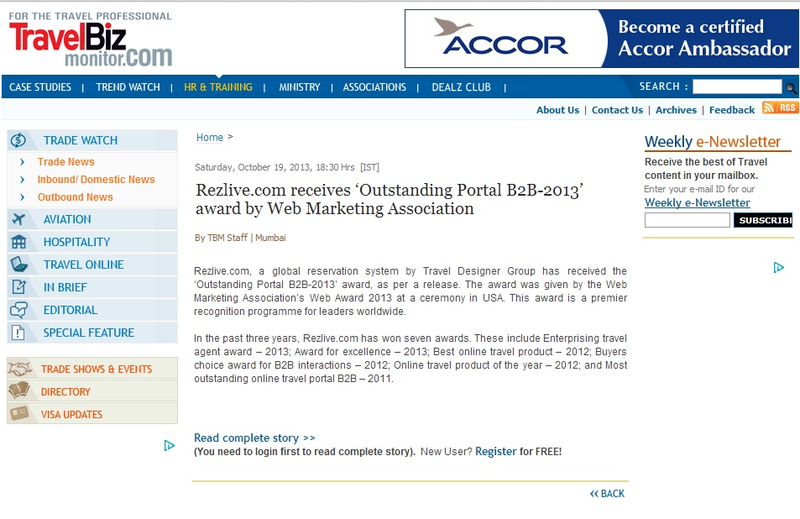 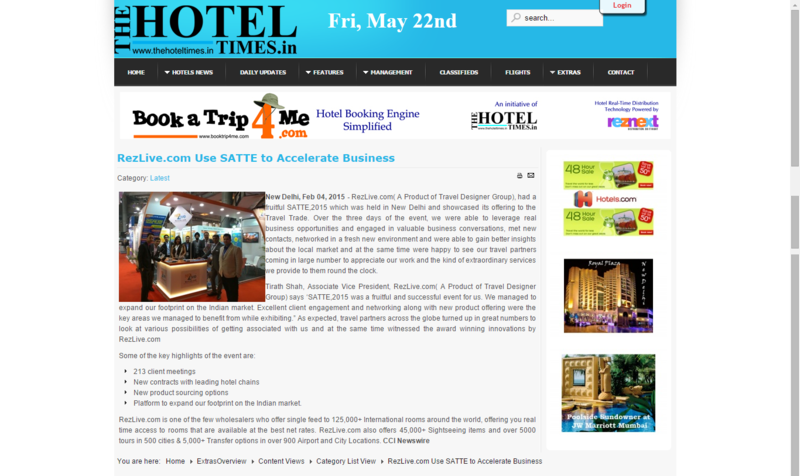 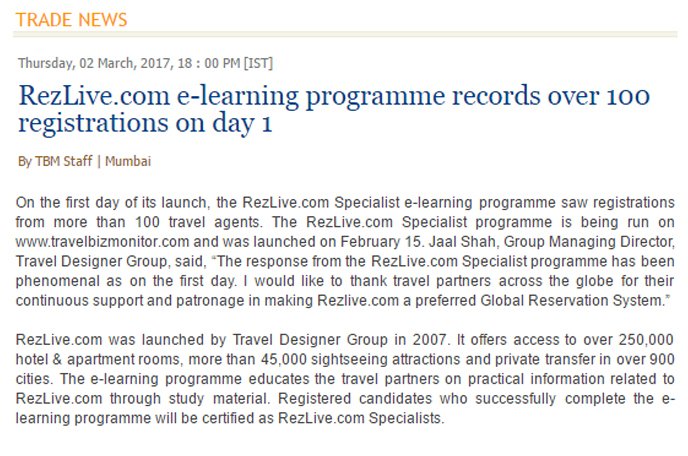 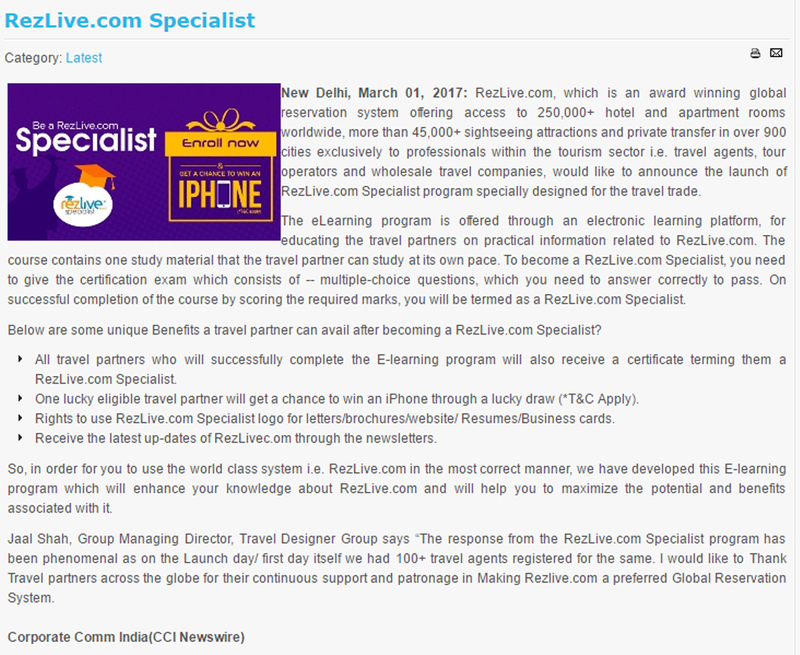 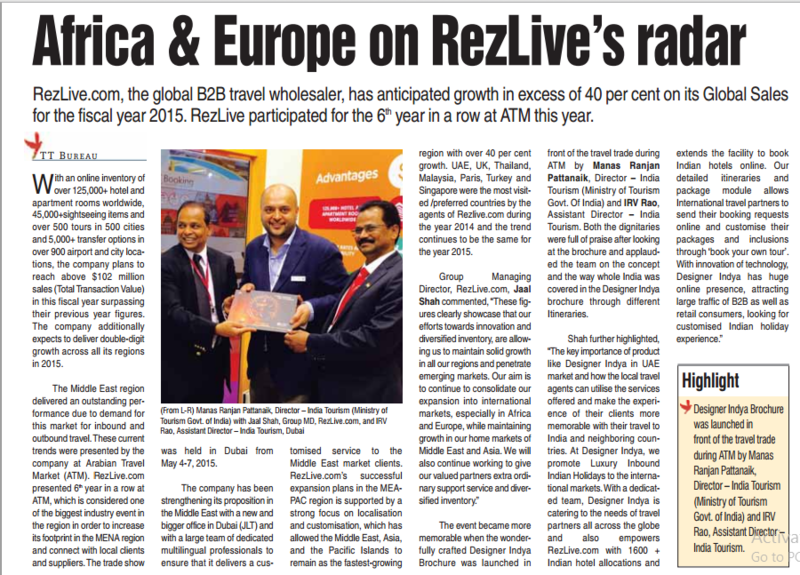 The B2B global reservation system, rezlive.com has been back to back awarded with 'certificate of excellence' award..
TMA has organised an event through TEA-Travel event academy..
Travelling industry secures spot among those few which have undergone radical.. 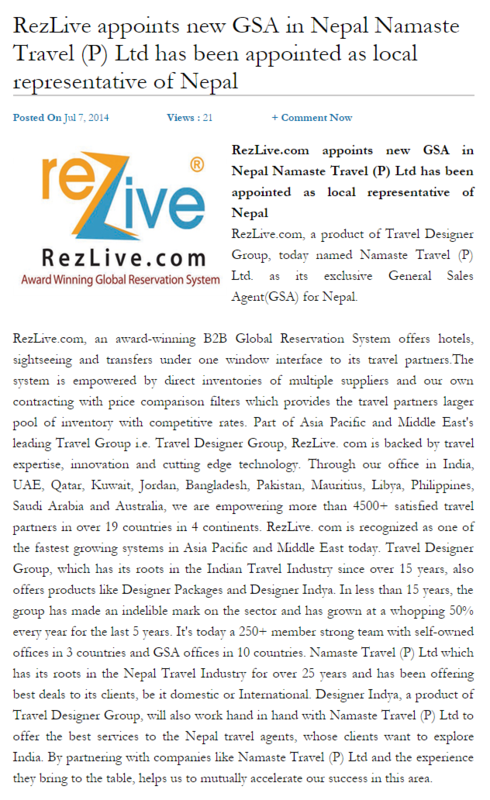 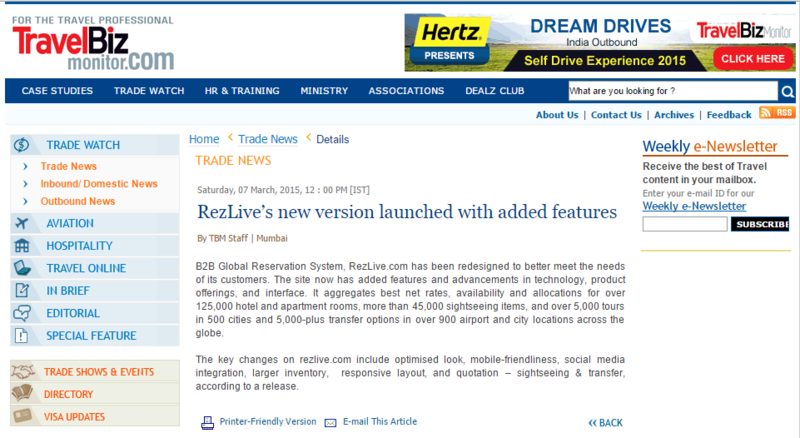 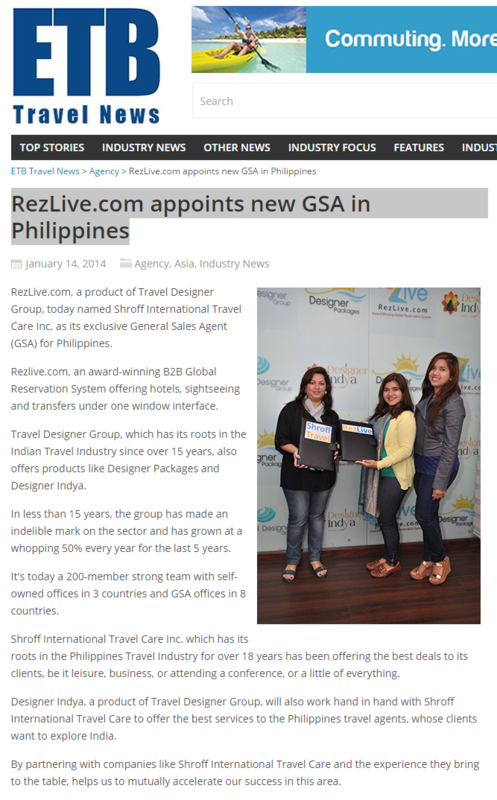 Expanding its reach further in the Asia region, RezLive.com, a product of Travel of its new branch office in Bangkok, Thailand. 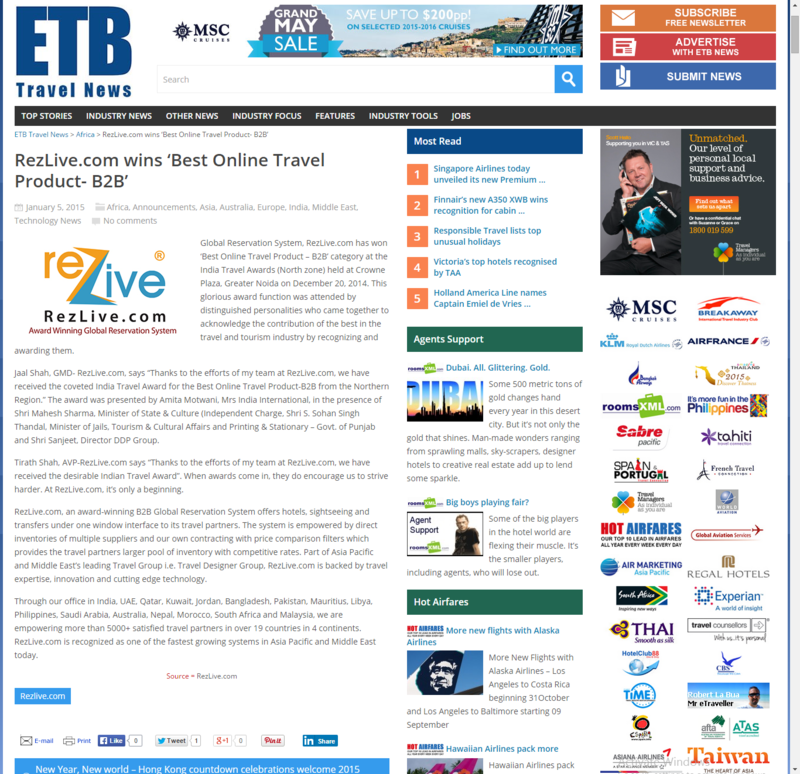 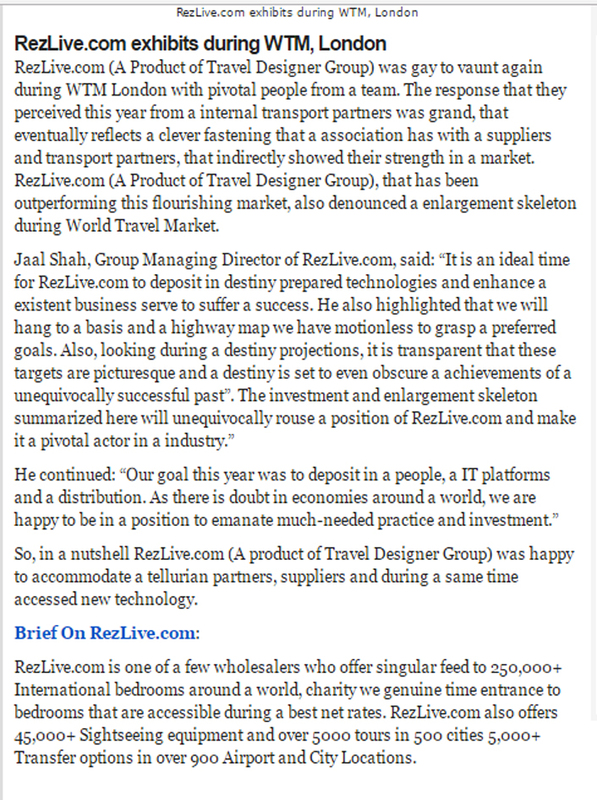 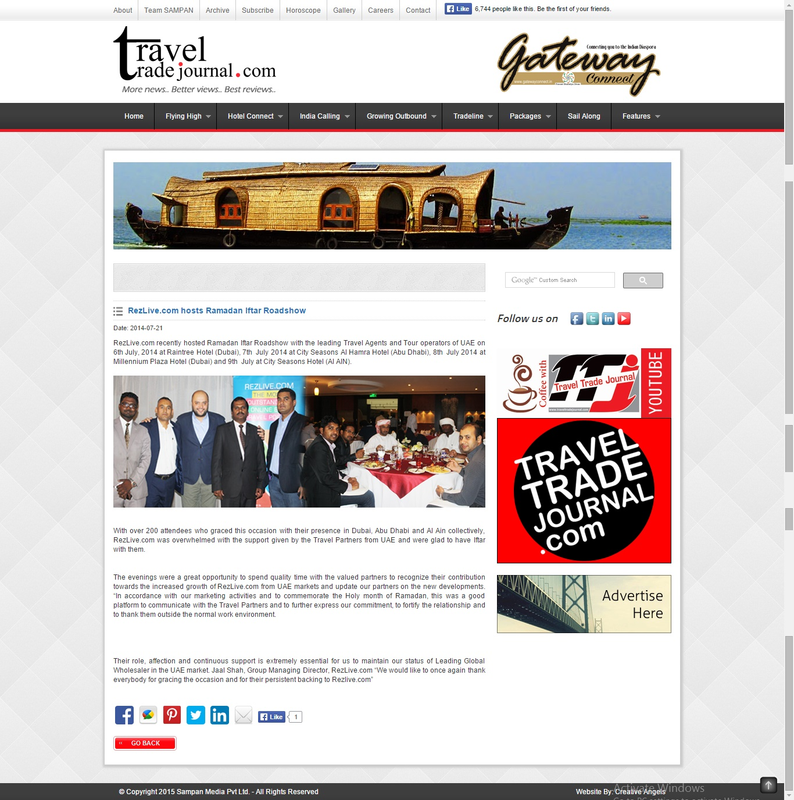 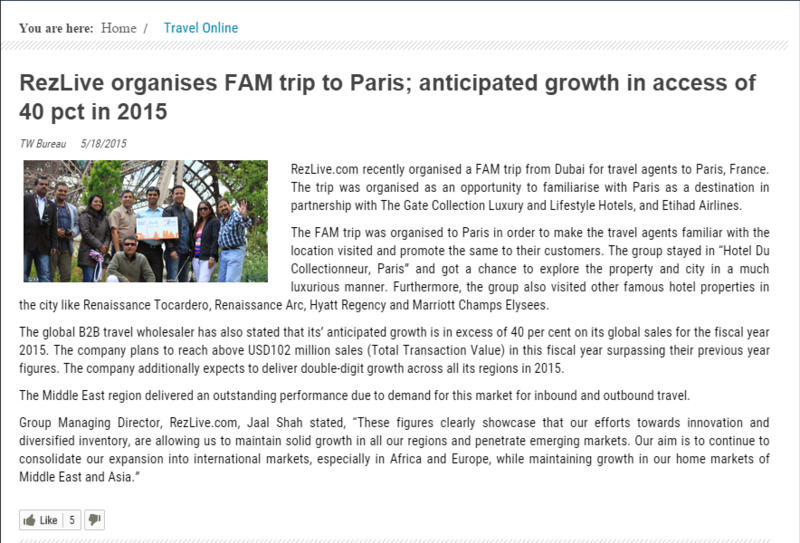 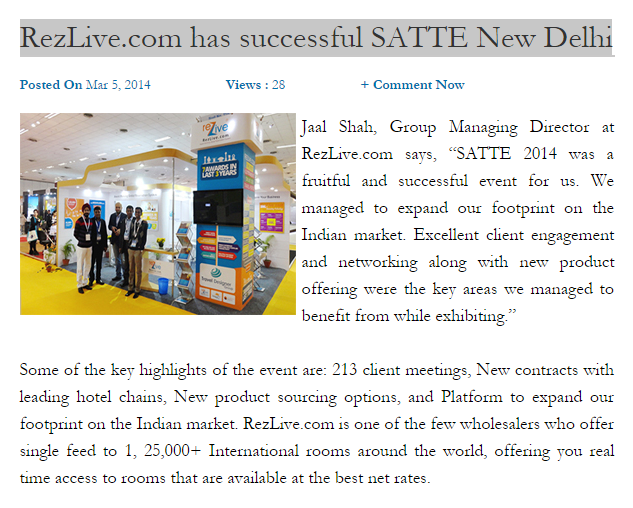 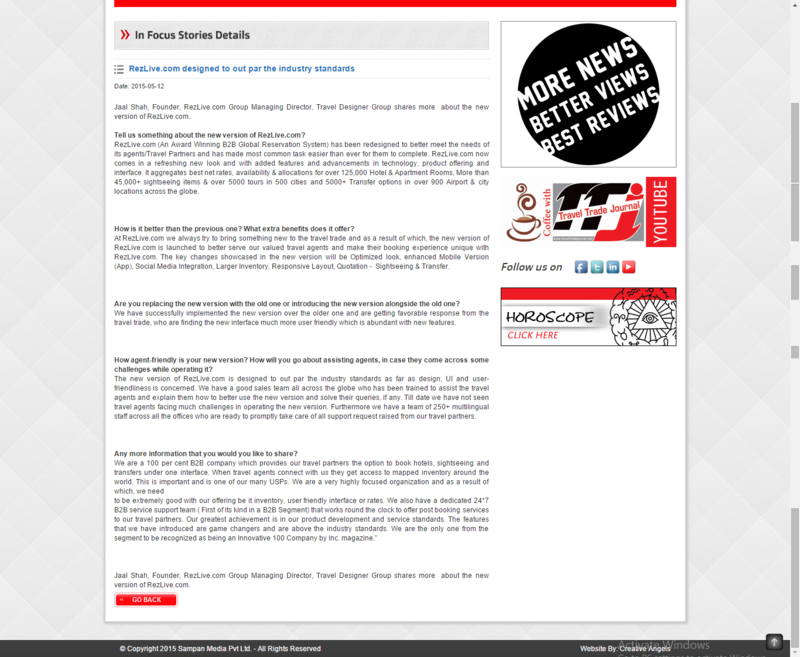 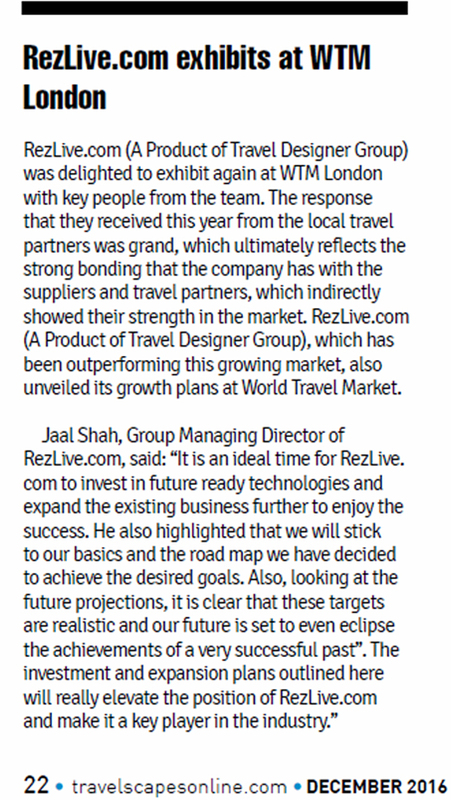 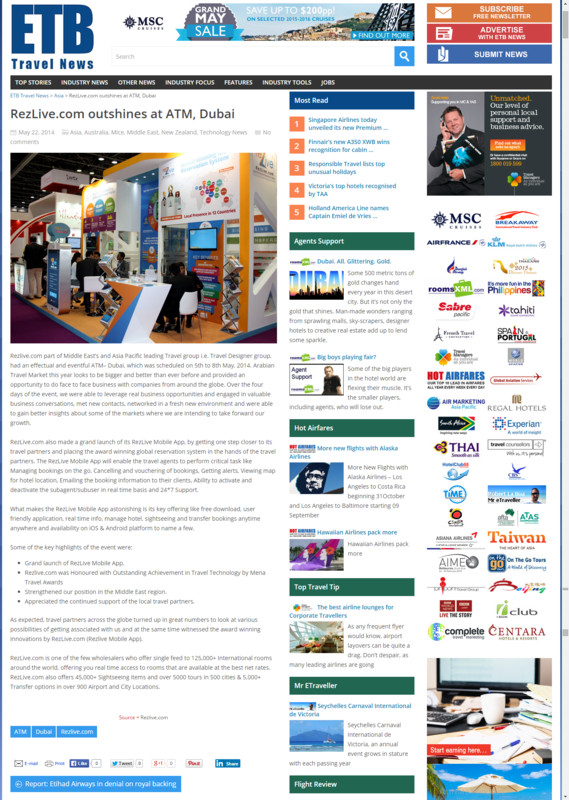 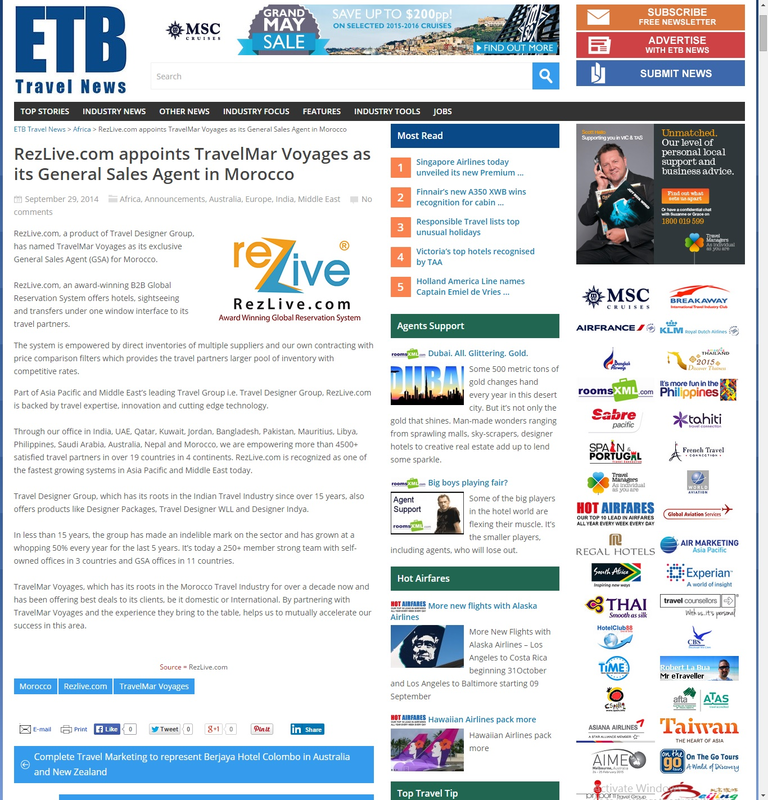 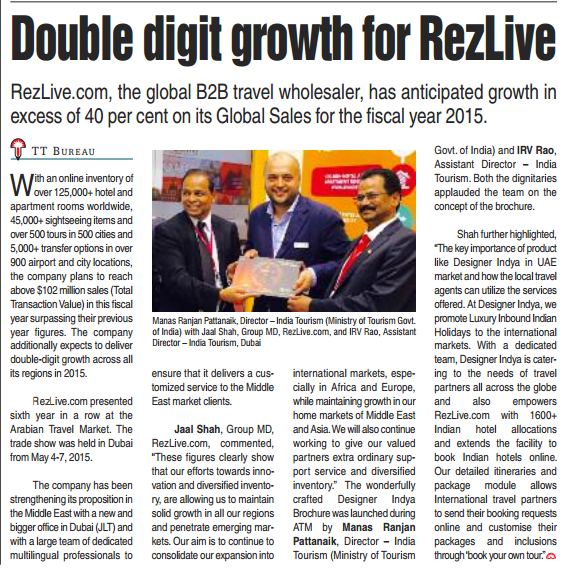 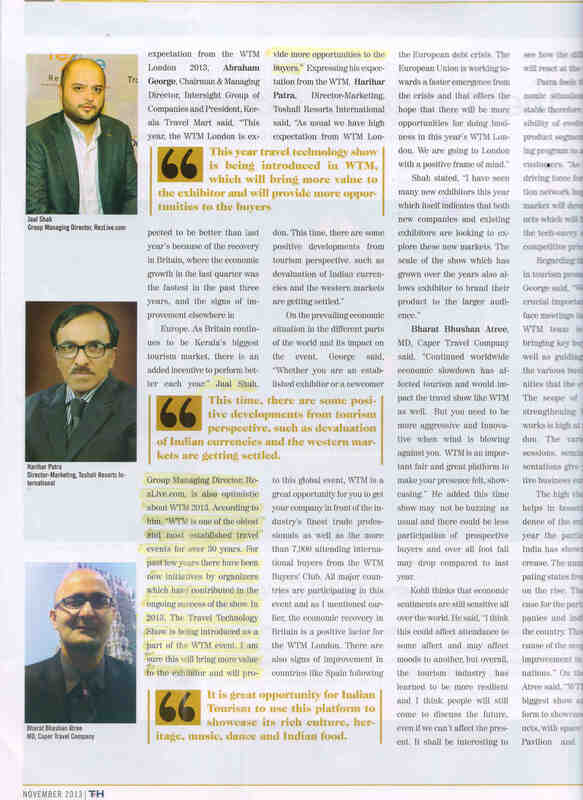 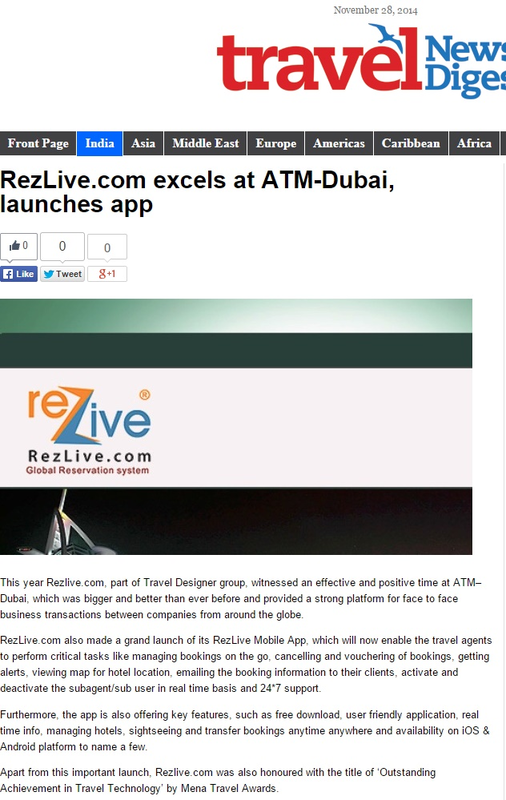 RezLive.com hosted back-to-back Ramadan IFTAR roadshow with travel agents and tour operators of UAE from 21 - 24 June in Dubai, Abu Dhabi,..
Travel Designer Group won two honours at an event hosted by Inc. India, the Indian edition of Inc., the US magazine .. 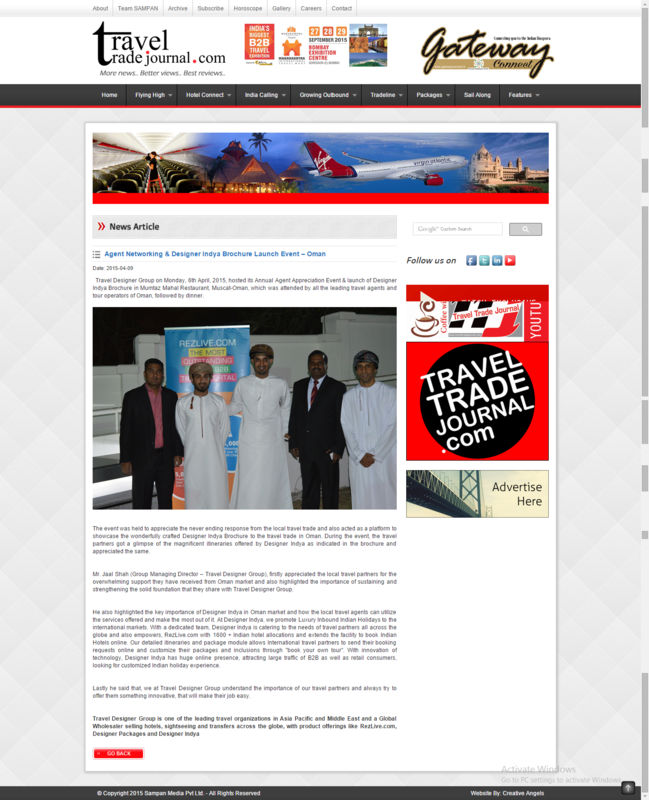 Opening new offices in Qatar and Dubai.